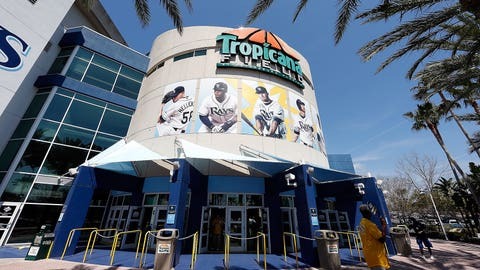 Tropicana Field in St. Petersburg, Fla., isn't known as a great place to watch a baseball game. The future of Major League Baseball in the Tampa Bay region remains in doubt. But now clarity on the issue appears more attainable than ever — for interested parties in Florida and Quebec. One source with knowledge of the negotiations said the agreement would permit the Rays to examine sites solely in the Tampa Bay region — not elsewhere in Florida or another market. As a practical matter, this means the Rays will be looking in Hillsborough County — Tampa, specifically. The team could receive official clearance to begin their search before the end of the calendar year. At that point, the timeline will be set — with businesspeople and rejuvenated fans in Montreal paying particularly close attention to what happens next. Montreal is a viable major-league market, as an Ernst & Young feasibility study documented last year and massive crowds at two exhibition games showed this spring. Earlier this month, the French-language newspaper La Presse reported that Montreal businesspeople had two meetings with Rays officials in the spring of 2014; in a separate story, La Presse reported that high-powered local businessmen Stephen Bronfman, Mitch Garber and Larry Rossy, along with broadcasting giant Bell Media, have said they are interested in ownership stakes with a relocated franchise. But for now, the would-be investors must keep their robust checkbooks tucked away. The Rays aren’t for sale — at least, not now. There’s a protocol to be followed here, and it involves Rays principal owner Stuart Sternberg making a genuine effort to secure a long-term home for his team in Tampa Bay. For years, he’s asked for that opportunity. Now he’s poised to get it. And in some respects, the timing couldn’t be better. The Rays’ local television rights deal with FOX Sports Florida expires after the 2018 season. So if the Rays assess the Tampa market for a year or so and decide there simply isn’t a viable home for them in the region, then it’s not as if a decades-long TV rights agreement will infringe upon their ability to relocate. Speaking of television: Bell Media’s interest in a Montreal baseball franchise may be the single most significant change in that market since the Expos left in 2004. One year ago this week, the NHL entered into a 12-year, $5.2-billion television contract with Rogers Communications — leaving Bell (a then-incumbent rights holder) without national packages on its English (TSN) and French (RDS) networks, beginning with the current season. 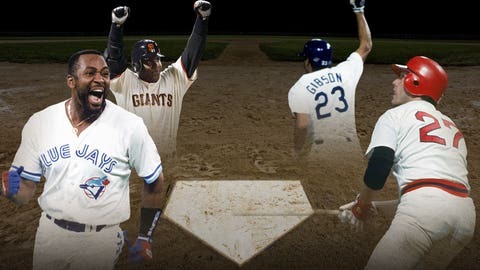 As of this writing, Bell has yet to secure long-term rights to a sports television property as visible as the NHL (or MLB) with similar programming hours in English and French. And, presumably, Bell is pondering what to do with the $5 billion or so it reportedly had financed in a failed effort to renew their NHL rights package. According to Forbes, the Rays’ current franchise value is $485 million. Hmm. Of course, Montreal would need a new downtown stadium for baseball to succeed. The move-in-ready option is a poorly located dome (Olympic Stadium) that should be structurally serviceable for a few years while a permanent home is built … all of which sounds a lot like the Rays’ current situation at Tropicana Field. So, it’s true: A plausible route exists for the Rays to wind up in Montreal. But the roadmap won’t matter if the Rays find a suitable location to build their new baseball palace in Tampa — presuming, of course, they finally receive permission to drive across the bay and look around.